The Leo Group is a boutique advisory firm offering customized and comprehensive wealth management, tax strategies, investment planning and concierge services to high net worth and affluent individuals and families around the globe. Since they serve a sophisticated clientele, the agency needed a brand that resonated with this demographic in order to surpass national and global competitors. 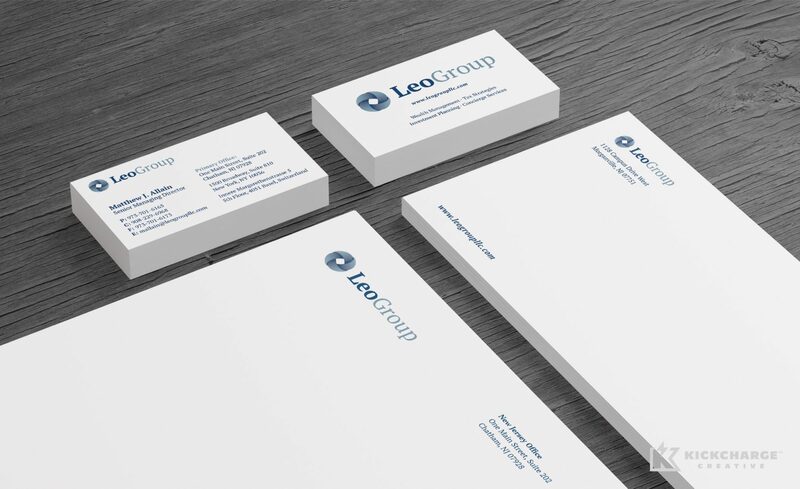 When the Leo Group approached us with their need for a brand, we discussed their challenges and objectives and used the insights to fuel a brand concept that was cultured, corporate and professional. There is limited differentiation between financial firms, and many companies boast of their comprehensive financial management services without being able to deliver. 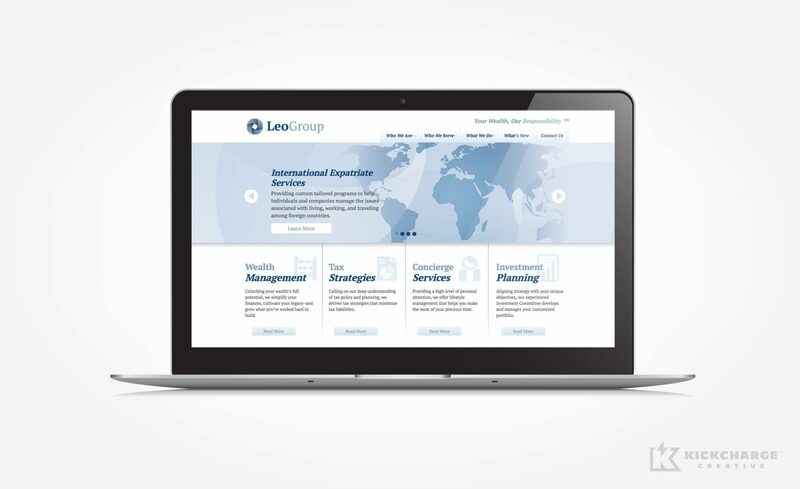 To convey the holistic nature of the Leo Group’s advisory services, we developed an icon that was intertwined and integrated–like their service offerings. Following logo development, we reinforced the brand through development of business cards, letterhead, notepads, folders and a website. We used digital media to bring this brand to life, and refined the firm’s content to (1) connect with the demographic, (2) distill complex ideas, and (3) give the brand a voice that breaks through the competition. Then, we designed around this content to create a platform that focused on client growth and on the firm’s credibility and expertise. The end result: a brand and marketing tools that matched the firm’s unparalleled services and core beliefs.